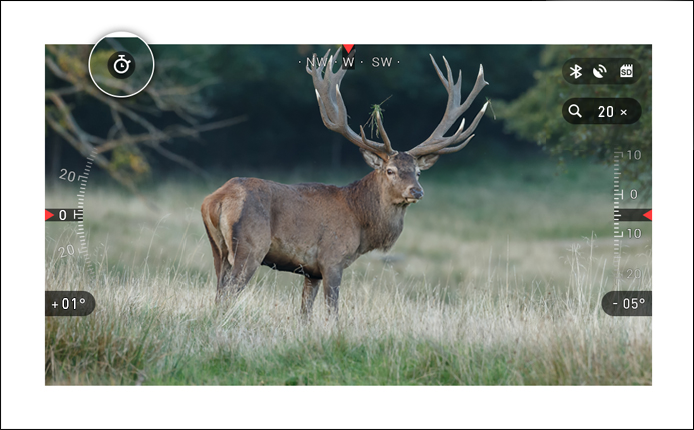 ATN X-Spotter is the world's most advanced Smart Day/Night Spotting Scope with camera at an unbelievable price. 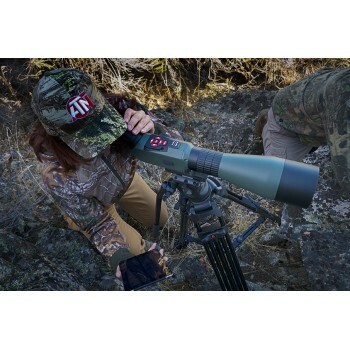 Offered in 1080p resolution, image stabilized spotting scope X-Spotter provides high resolution clarity, long range detection and a host of features powered by the ATN Obsidian Core. Immerse yourself in a cockpit like environment that combines your HD image with data from numerous built-in environmental sensors. Record Video/Pictures with a press of a button onto an internal SD card and Stream what you are seeing to a phone or a table. 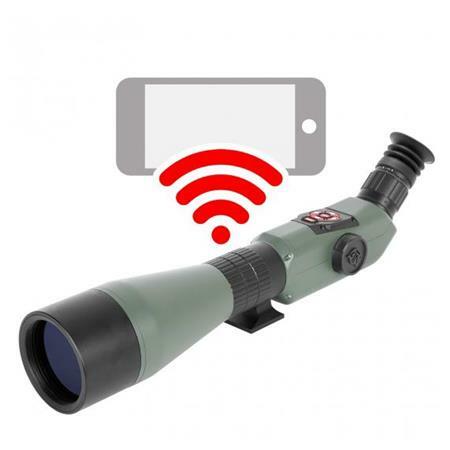 WiFi, GPS, 3D Accelerometer, 3D Gyroscope, 3D Magnetometer, Microphone, HDMI, USB, Micro SD and the latest image sensor create the most advanced Day/Night Spotting Scopes on the market today. Search and Rescue, Hunting, Bird Watching, Security, Boating and Law Enforcement are just some of uses found for spotting scopes X-Spotter. 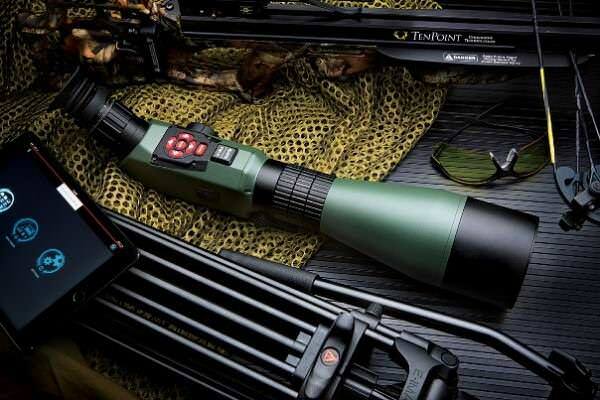 This Obsidian powered Smart X-Spotter offers capabilities never before seen in a spotting scope. • At a billion cy?les per second, the ATN Core pushes optics into the 21th century! and personal with everything you're looking at. Don't miss another opportunity to capture that once in a lifetime moment. Record videos and take photos to bring your adventures back home to share with friends, family and on social media. We make it easier than ever to capture and share your videos. with your friends and family back home and online. Our designers have worked long and hard to create the most user friendly and intuitive experience for our customers. We know you'll be impressed by the ease of use and array of features with the Obsidian 2.0 . E-compass, Pitch and Yaw angles, Distance to target, Ballistic corrections and zoom are just some of the information points displayed on your screen. The X-Spotter's next-gen barometer gives you precise accurate data so you can make sure everything is dialed in. 3D magnetometer sensor creates a handy electronic compass inside your rifle scope, while continuously tracking the precise direction you are looking at! Rugged, light and compact the X-Spotter is the perfect device in any weather for the casual user right through to the most demanding professional. 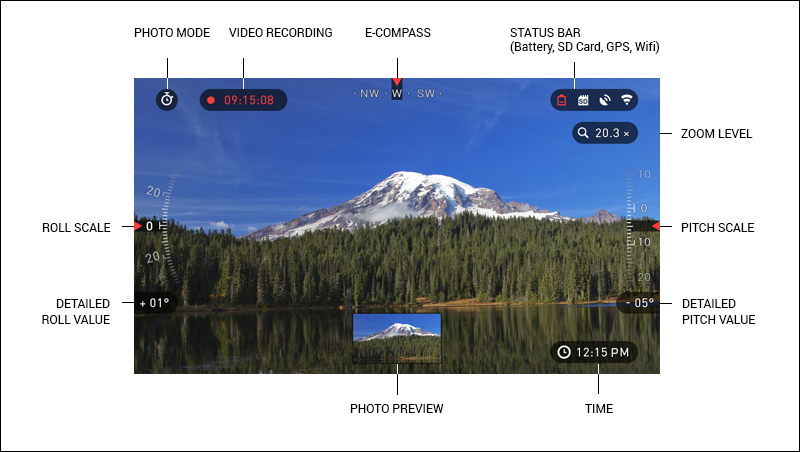 By utilizing the ATN Obsidian app, you can control your device and view live streaming. Connect a phone or tablet and view everything simultaneously. Want to see what you've recorded so far? No problem, once connected to the app via Wi-Fi, open up the Gallery and playback your latest adventures. All your photos and videos are right at your fingertips.